Do have a look at the Best GIF Keyboards for Android to share GIFs with Ease, try all the apps that we had discussed in the article and try the apps in your android and you can easily share lots of GIFs directly from keyboard. GIFs have gained immense popularity on social media networks and some other messaging platforms too, as this feature is very cool. But the problem arises when someone has to send these GIF messages to anyone through the common keyboards on Android as these keyboards either do not support the GIFs or are not very flexible with it. So to gain the smooth and fluent GIF messaging on Android you would have to install some other keyboard apps that support this feature very well. 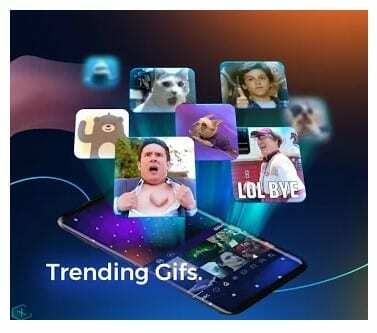 Here in this article, we have listed the best GIF keyboard applications for the Android by which you can easily play with GIFs and with lots of functions and features. Go through the article that is given below so as to know about these best keyboard apps. Below are some of the best apps that you will surely love to try in your android mobile to access GIF right from your keyboard. So have a look at all these apps below. It is an overall best keyboard app for Android right now as it combines within every possible feature related texting, emojis, GIFs, etc. and more can also be added through the extensions that are easily accessible in this app.It provides great control over the GIFs and helps you to get up the right GIF for your message very fastly and easily. This is another great keyboard app for Android with some excellent ratings on the Google Play Store. It proves beneficial in case of using, finding up the GIFs as there are many different tabs under which the GIFs are categorized nicely. Hence it makes it very easy to find up the right GIF instantly for the ongoing message conversation. 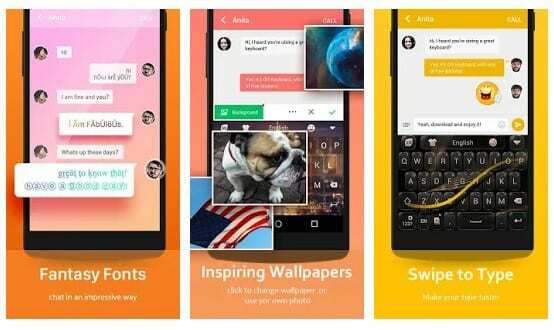 Apart from that, this keyboard app has many many other features too that you will definitely love to use. In this app, you can add up some different 3rd party features and apps to its top bar and then use then easily by pressing its icons from there. Now for using up the GIFs on this keyboard, you can add up the GIF function to its top bar through this app only and then use it afterward to play up with the GIFs. You can easily search for the desired GIF as these are arranged under categories very well. 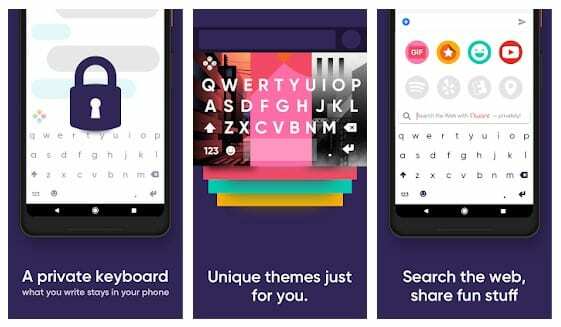 It is the latest app on the Google Play Store but keeping that aside you should know that the developer has very well integrated most of the best features and functionality in this keyboard app. GIFs are also the working part of this keyboard, and there is also one great feature in which you can capture your face image to transform it into a new type of emoji. Apart from the regular style keyboard, this one has a long list of features and functions that also includes the GIF capabilities. Just search for the GIF of your needs from the very familiar style search column and use it for your message easily. This keyboard app has one great feature regarding the text messaging support i.e., grammar and spell check feature and this also has a GIF support either that is not very advanced and also lacks the search feature although. But still, this app outperforms many other apps in the same category in case of performance. It is cool looking keyboard application, and its looks can be further changed as there are tons of free themes available for this keyboard. Having some of the best features and functions one can enjoy to find and send GIFs directly on this app without any struggle. As the name suggests this keyboard is specially made keeping up all the needs relating GIF sharing but it also doesn’t lack on other features too. If you are looking up for the keyboard app that can strongly handle all your GIF needs without focusing more on the other features, then this could be your best choice. This app has lots of features inside it, and GIF+Emoji feature on this keyboard is a real deal for this keyboard. Just slide on the top side of this keyboard to bring up all features on the screen and then start to play up with them in a very easy way out. It is another great app that you will surely love to try in your android mobile. The world’s largest library of animated GIFs, now on your mobile phone! 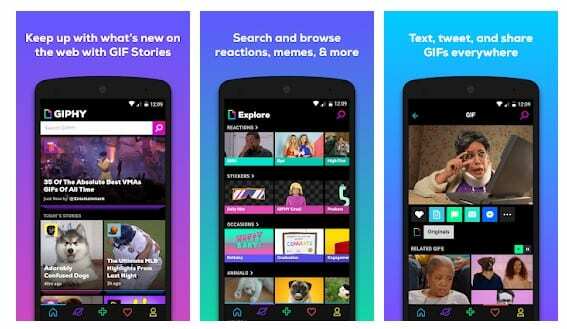 GIPHY for Android is the fastest, simplest way to search and share GIFs across all of your favorite social channels. Booble Keyboard has everything that is needed to be the best keyboard app. The keyboard app uses Artificial intelligence to automatically predict Emojis, Memes, Stickers, and GIFs on your favorite chat apps. Cheetah Keyboard is the first 3D Android keyboard app on Google Play Store. 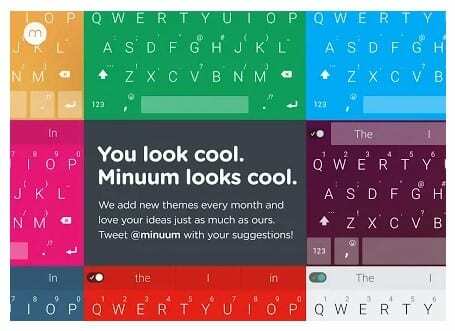 It’s an ad-free, high rating app which provides you thousands of free keyboard themes, cool graphics, and excellent typing experience. The app also has a GIF collection that is supported by Giphy. Well, Typany keyboard is first of its kind. The app actually features different DIY features together like the DIY theme, emoji maker etc. 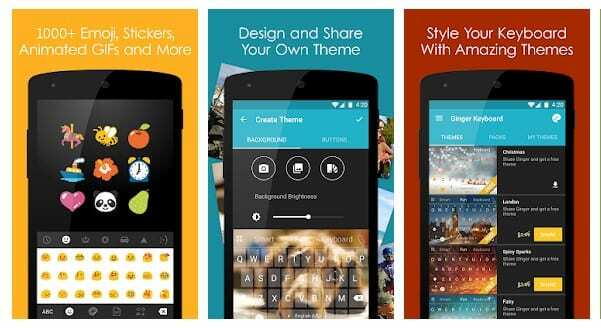 Typany Keyboard works with Tenor to offer latest GIFs. It contains all kinds of the most popular GIFs and Memes. 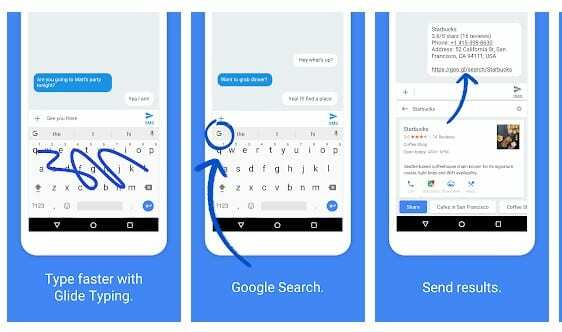 Well, Gboard which is also known as Google Keyboard is one of the best keyboard app available on the Google Play store. The keyboard app for Android houses almost every keyboard features that you need. The keyboard app comes pre-loaded with tons of smileys and GIFs. There’s also a GIF search option which you can use to search new Gifs. Facemoji Emoji Keyboard is another best one in the list which comes with lots of unique features. 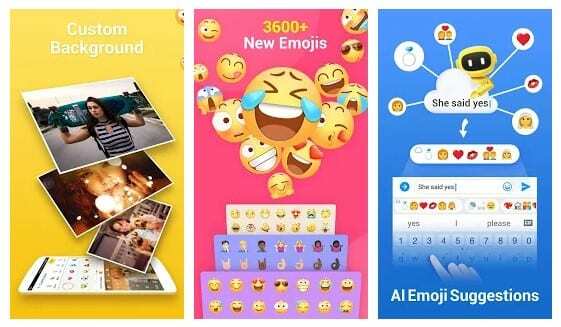 You won’t believe that Facemoji Emoji Keyboard for Android packs over 3500 emoticons, GIFs, stickers and symbols which you can use. The app is compatible with FB messenger and WhatsApp, that means you can use all those emoticons and GIFs on social media platforms. So, here this article ends giving you up some of the best GIF Keyboard applications for Android devices. You can use any of these based on your liking, and these keyboards will surely give you the right experience in case of sharing GIFs. Go and have a try on these apps now!